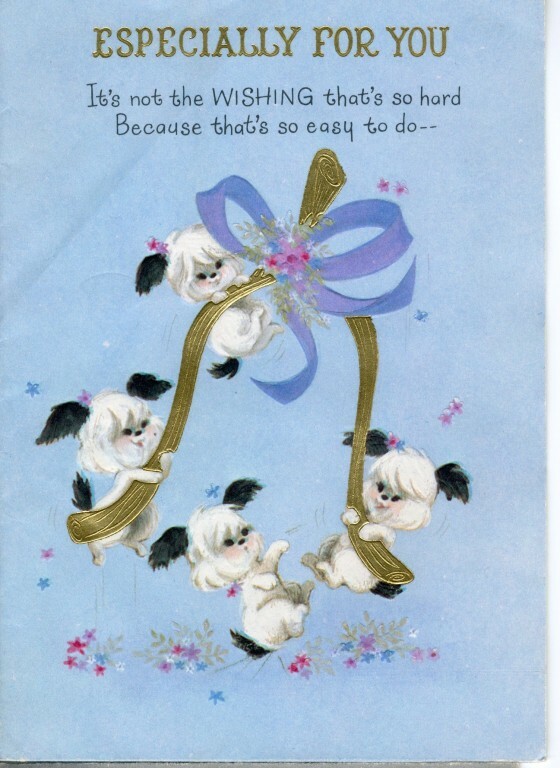 Blue birthday card showing four black and white dogs playing with a gold wishbone and ribbons. 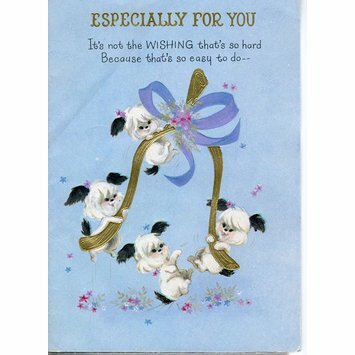 Inside the card is a pop-up section showing another dog with a wishbone. Printed in black and gold on the front of the card. But gee, it's tough to WISH a WISH / That's NICE ENOUGH FOR YOU! / HAPPY BIRTHDAY!! Printed message inside the card. Handwritten message inside the card. Printed on the back of the card. Printed on the back of the card in the bottom right-hand corner.